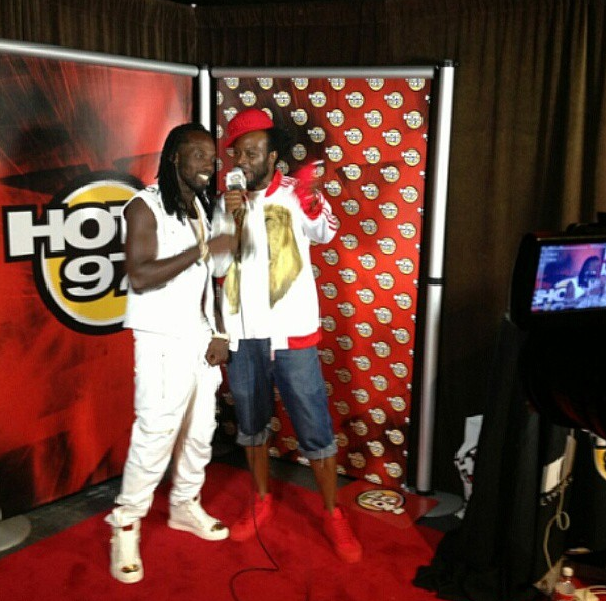 York for Hot 97's "On Da Reggae Tip" featuring the hottest dancehall reggae artist including Mavado, The Marleys, I-Octane, Supercat, Konshens and more. There's a reason why On Da Reggae Tip is called the "biggest reggae concert of the year" and this year, it lived up to that name more than ever! 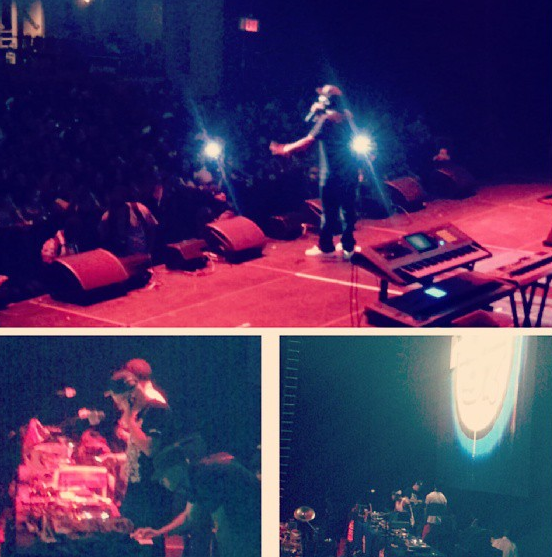 Bobby Konders and Jabba, a symbol of the NYC Caribbean culture, kept the crowd going throughout the night as they introduced acts like I-Octane and Konshens to the stage. Baby Cham took it to the streets performing hits like "Ghetto Story",Mims version of "This Is Why I'm Hot" and revealed to a screaming audience that the woman on stage singing the hook off of his smash hit, "Wine" was the mother of kids. Shaggy came ready to take over ODRT and was accompanied by some of his famous friends. Doing his massive hits like "Angel", "It Wasn't Me", and yes ladies and gents, even "Boombastic". 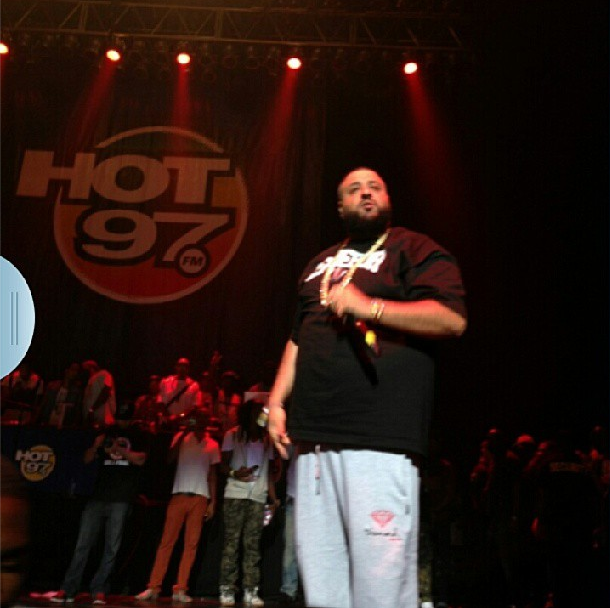 But if that wasn't enough, everyone almost hit the floor when he introduced the real rass Don Dada Supercat to the stage. The Soca Queen Alison Hinds came out reppin' for all the West Indian ladies in the building and wore a skin tight, black laced up suit as she wined it up with her six female background dancers. That lady still has it! Cont. 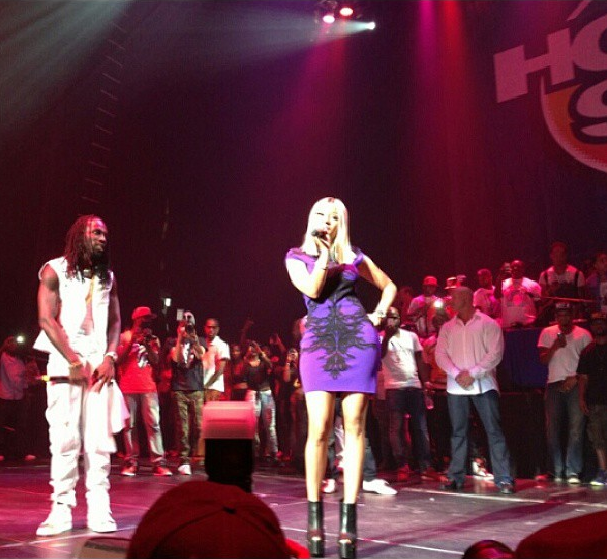 Mavado & Nicki Minaj "On The Reggae Tip"
DJ Khaled "On The Reggae Tip"